Lewallen could make return this weekend. 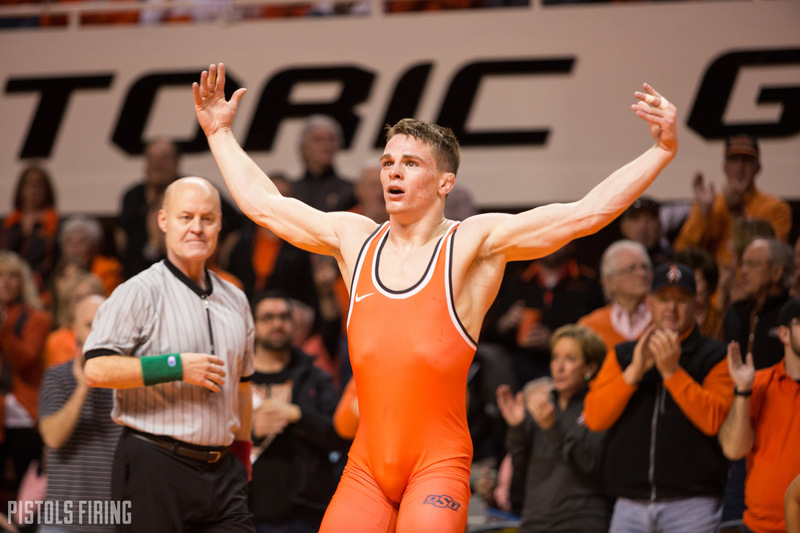 During the first dual of the season, junior All-American Boo Lewallen went down with a shoulder injury against South Dakota State. It wasn’t pretty and on the surface it seemed like it could be season-ending. But he will be back, and it could be as soon as this weekend. John Smith made some comments about him during the media availability on Tuesday. “Boo Lewallen, I think he’s ready to go, but how strong is he? Could he withstand another blow to that shoulder,” Smith said. When I tweeted the interview with Smith, Boo replied with this. I was unable to confirm an exact return date for Lewallen, but sources indicate that it will be “very soon.” I wouldn’t be shocked to see him on Sunday.